Jace is a happily married father of 3 kids and a doctor of physical therapy and a NSCA certified strength and conditioning specialist who works in an outpatient orthopedic and sports physical therapy system. He has a passion for working with tactical athletes and helping get them back to active duty. Outside of physical therapy, he teaches undergraduate and graduate level Kinesiology and Exercise Science classes and spends time trying to help his three kids develop a passion for playing and being active. Jace has enjoyed weight-lifting and playing sports since he was a teenager and has applied his own programming with various success. He stumbled upon EO3 fitness looking for ways to better outfit his garage gym with some DIY projects and ended up starting with the One Man One Kettlebell program with great success. His preferred strengthening equipment at home and at work with his athletes are kettlebells, sandbags, heavy ropes, and one's own bodyweight. Fitness is a priority, believing that movement is medicine. As a physical therapist, he has a passion to help others "move well, then move often" as Gray Cook would say. 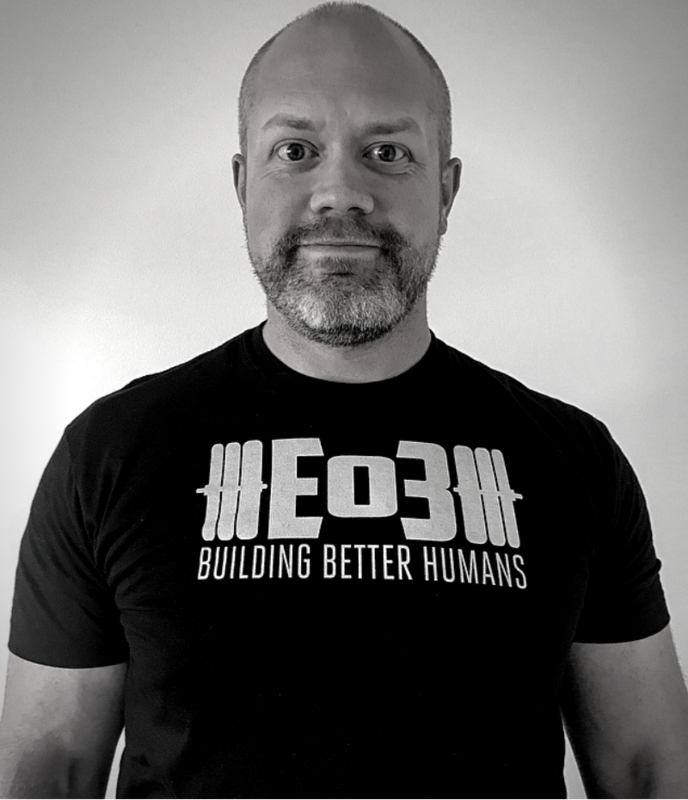 He's proud to be a part of the EO3 community as a certified coach. Other certifications include FMS, SFMA, FCS, MWOD 1, and IASTM certified practitioner. Current fitness goals are to get his StrongFirst SFG 1 instructor certification, DVRT sandbag and Brute Force ULOO sandbag certifications, and NSCA TSAC-F certification.